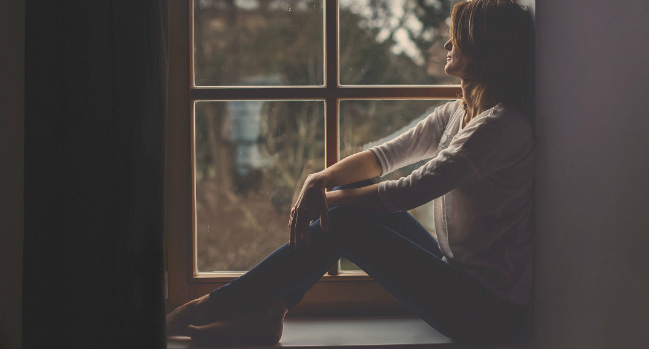 The National Autistic Society are warning of a hidden crisis after new research from the charity established that autistic people are four times more likely to be lonely than the general public. "I always used to think that as I grew older, social interaction would get easier. It didn't." The government are now being challenged to make sure the long-anticipated strategy for tackling loneliness addresses the specific needs of autistic people. The charity compared their new survey of almost 900 autistic people with the government’s own data. The National Autistic Society are calling on Tracey Crouch MP, the minister with responsibility for tackling loneliness, to make sure the Government's upcoming strategy addresses the root causes of loneliness for autistic people. Tracey Crouch MP recently spoke about her work, including a visit to an autism service, at the inaugural meeting of the All Party Parliamentary Group on Loneliness and Social Isolation (Tuesday 27 March). She also talked about the isolation faced by many parents of autistic people and the importance of improving public understanding of autism. More than 1 in 100 people in the UK are on the autism spectrum. Most autistic people want more friends and connections but many find forming and maintaining social relationships difficult and confusing. The difficulties autistic people can face filtering out sounds, smells, sights and information can leave them feeling overwhelmed and anxious in busy public spaces. Combined with anxiety about the public misunderstanding their distress, it can sometimes be hard to go out at all. Nita lives in Colchester and was diagnosed with autism nearly two decades ago, when she was 15. She said: “For me personally, autism is first and foremost a social disability, and I say disability because it does indeed have a disabling effect on my ability to communicate with others." “Like many autistic people, I'm an introvert. But even introverts need some semblance of a social life. Yet mine remains as elusive, nay, impossible to exist, as Bigfoot travelling by polka-dot unicorn. And it's more than a little frustrating, not to mention lonely." “I wrote in my teenage-diary-turned-published-book Standing Down Falling Up that I felt as if there was a wall separating me from others — a barrier that, although invisible, may as well have been as solid and secure as Fort Knox for all the success I had breaking out of it — and twenty years on, it's no different. “I always used to think that as I grew older, social interaction would get easier. It didn't. School was a minefield. As was college, and the three universities I attended, and every relationship. Despite social skills related literature aplenty, social skills workshops, behavioural courses, and friendships made and invariably lost, I remain isolated. Whilst I don't blame myself, I know something isn't sinking in, and I wonder why I'm not getting it right." “At times, it leaves me considering hermittery, resigning myself to but the barest bones of social interaction... but that's not what I want. I've pretty much accepted lifelong spinsterhood and childlessness, but I need some positive relationships in my life." “Our research suggests that autistic people are some of the most isolated and lonely in the UK," said Mark Lever, Chief Executive of the National Autistic Society. "This can be devastating and lead to serious physical and mental health problems. “At the National Autistic Society, we won’t accept a world where autistic people feel they have to shut themselves away. The government can’t tackle loneliness unless it reduces the shocking levels of social isolation amongst autistic people – and addresses the root causes."